Quite simply, a healthy breakfast is one of the most responsible things we can do for ourselves. It’s easy to reach for the sugary cereals, the toast-able pop tart or, if you’re me on a bad day, a jammy donut. It’s actually better for you to have the jammy donut than to skip breakfast entirely, but it’s really worth keeping it healthy in the long run. 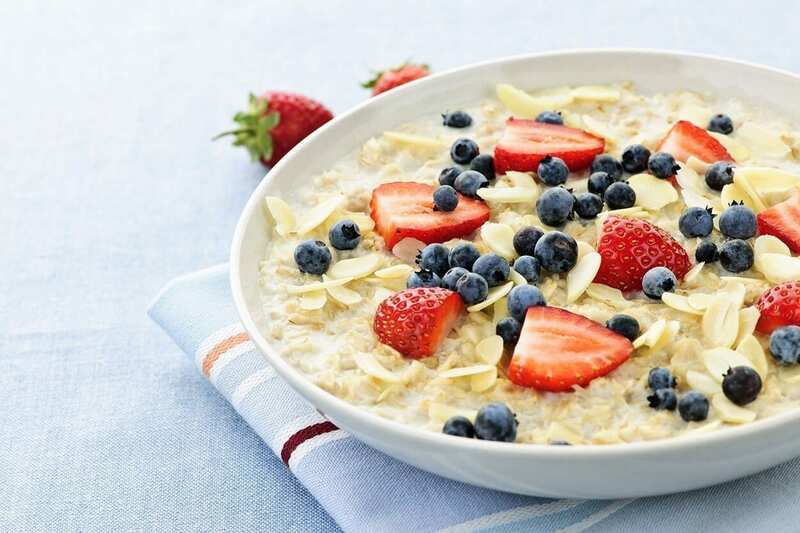 We’ve compiled a list of 7 delicious and healthy breakfast ideas that you may not have tried, in the hopes of giving you some inspiration and getting your taste-buds going! Get some real healthy-looking bread (ideally recently made.) Spread that toast with a dollop of coconut oil instead of butter. Add some organic fruit jam or local honey on top of that, and if you’re really feeling adventurous, sprinkle liberally with chia-seeds. Organic oats, stirred together with your milk-liquid preference in a pot on top of the stove. Make sure you keep stirring until hot enough to warm your tummy. 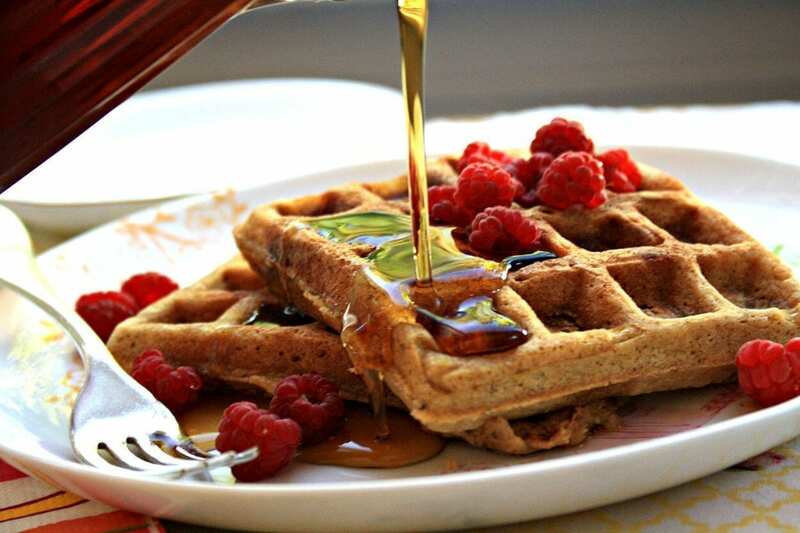 Add a swirl of organic honey, fruit jam, chopped fruit pieces, berries or even cocoa powder. I like to have mine with brown cane sugar, a teaspoon of cocoa powder, a teaspoon of coconut oil, flax seeds and blackberries. There are also many other healthy-seed combinations that come pre-packaged and organic. You can find these healthy cereal additives at any health store or health section at a grocery store. Sometimes, I really don’t feel like eating breakfast. So a smoothie always does the trick and it sometimes feels even better than food. It’s also extremely refreshing and fills you up pretty quickly while flooding your system with condensed nutrients. The best thing about smoothies is you can play around with them so you never get bored. 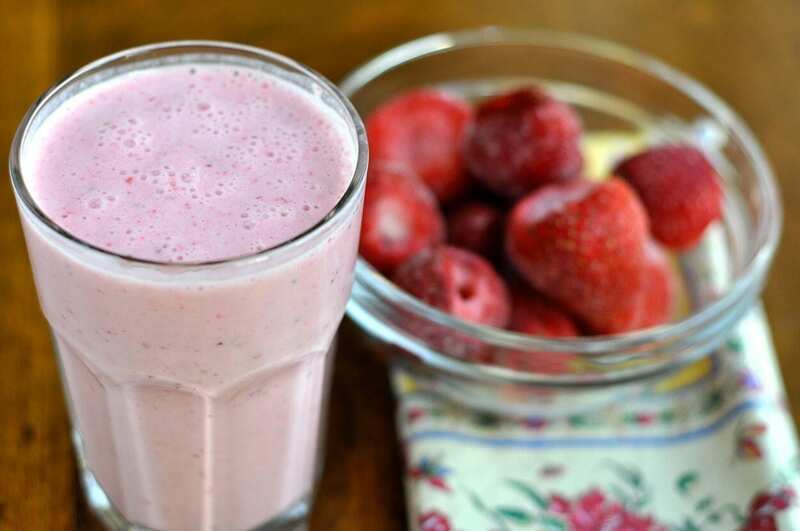 COMBINE the yogurt, banana, juice, strawberries (and anything else) in the food blender for 20 seconds. Scrape down the sides and blend for an additional 15 seconds. Drink it on the go – what a time-saver! 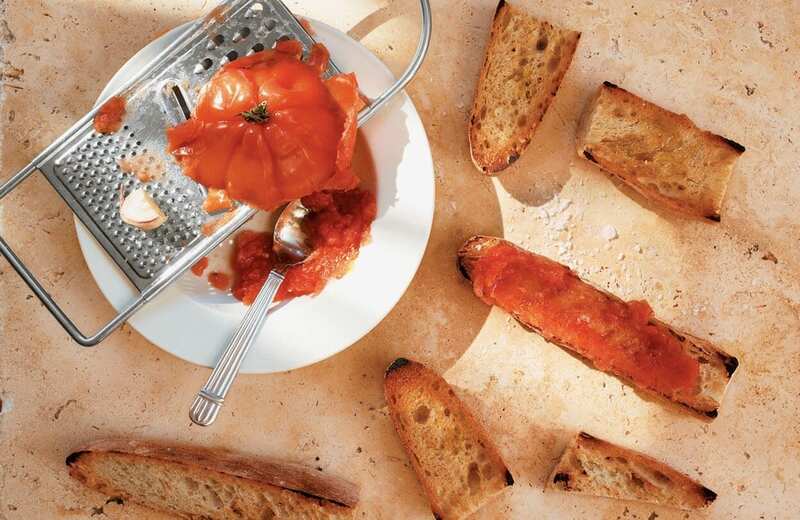 The famous Spanish breakfast pan con tomate (bread with tomato) is seriously addictive and a naturally healthy breakfast. It’s served with olive oil and salt if so desired. It just hits the spot and is so wonderfully nutritious. Take it to the next level by smushing up an avocado first. Lightly oil the toast, spread the green smush on as thick as you like then add the tomatoes ontop of that. Squeeze a bit of fresh lemon to finish up and then lightly season with salt & black pepper. It doesn’t take long to make and is positively DE-LICIOUS. Don’t think I forgot to include eggs. Having the regular fried eggs on a bit of toast is just so boring, and forget about bacon. This is a healthy breakfast post so bacon stays on the pig if you don’t mind. So, poach or scramble the eggs (or fry them it honestly doesn’t matter.) 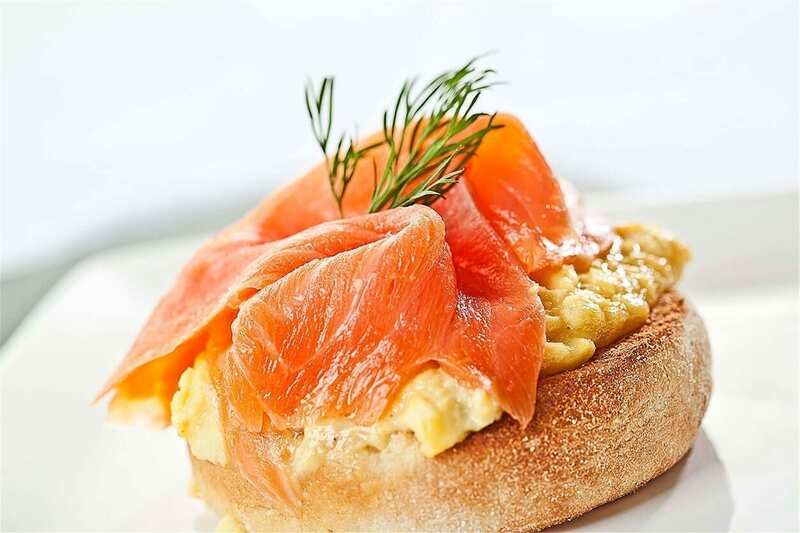 Introduce some smoked salmon onto some VERY lightly buttered toast with a dollop of cream cheese. Garnish to make it fancy with some thin slices of red onion and some green stuff (I like to use rocket salad). Then squeeze some lemon juice on top of it all and you’re in divine territory. Learn more about Nutrition and get qualified! At the School of Natural Health Sciences we offer over 56 holistic therapy courses backed with internationally recognised diplomas. With 18 years experience in training holistic practitioners, you’re guaranteed world-class training. Whether you’re an established therapist looking to bulk up your CV, a full-time student or anywhere in between, our courses cater to all. Check out our Special December Offers here which include Sports Nutrition, Child & Adolescent Nutrition and Clinical Nutrition.